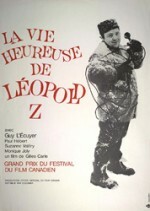 This first feature film by Gilles Carle centres on the innocent misadventures of happy-go-lucky Léopold, a snowplow driver. 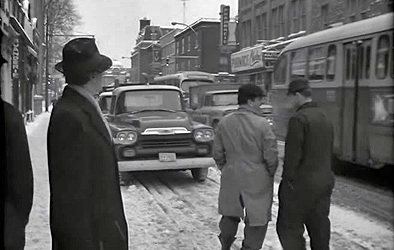 The entire movie takes place over the course of a single day–Christmas Eve-–from breakfast to midnight Mass. Hit by a bad snowstorm, Montréal`s streets need clearing and so Léopold has little time for little else. Unfortunately, real life intervenes. He must find time to take out a loan, buy his wife a fur coat, take his son to choir practice, meet his cousin at the station then watch her rehearse her nightclub act, all while evading detection by his boss. It`s a whimsical tale in which the viewer gets swept up in Léopold`s adventurous day and despite twists and turns and unforseen obstackles that would fall a stronger man, for Léopold everything falls neatly into place with warmth and good-natured humour.